Skitch is a free app that I have blogged about before. It has many uses in the classroom but the two uses I believe to be the best are labelling of photos and blurring photos. Labelling photos is fairly self explanatory and can be used in all learning areas. Blurring photos is useful if you have a great photo that contains a student or object that shouldn't be in the photo for its intended use. Eg. 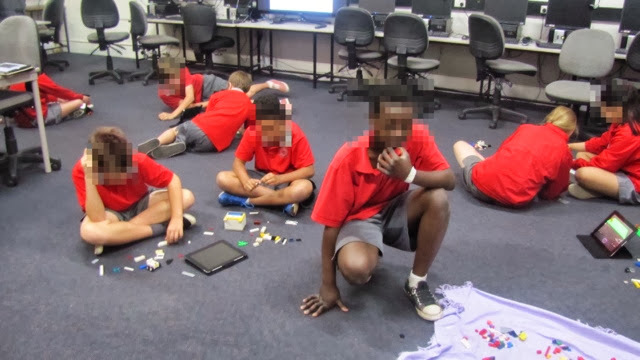 If you have a photo that you want to publish online but you don't want to show student faces, blurring can be very useful.